Get Prices for Precision Wall. Contact us Today! 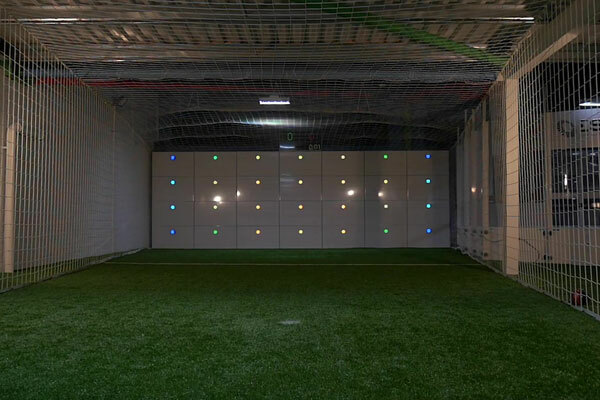 Utilising the state of the art vibration technology, the Precision Wall provides advanced performance training in both individual and team settings. Creating a variety of challenging shooting drills, the Wall is designed to develop attacking attributes. Scoring points rewards accuracy and can provide much needed score feedback to players and coaches – unlike a traditional goal. Although the Precision Wall offers unparalleled sports performance benefits, it's use isn't restricted to elite players. It's intuitive and highly-addictive game play make it an ideal addition for activity parks and FEC's. The system's sleek design with multi-colour LED lights and high-grade aluminium panels creates a great visual addition to any leisure facility. Engagement can be increased by setting up competitions and challenging your visitors to beat their previous score, or to outdo the high scores on the leaderboard. 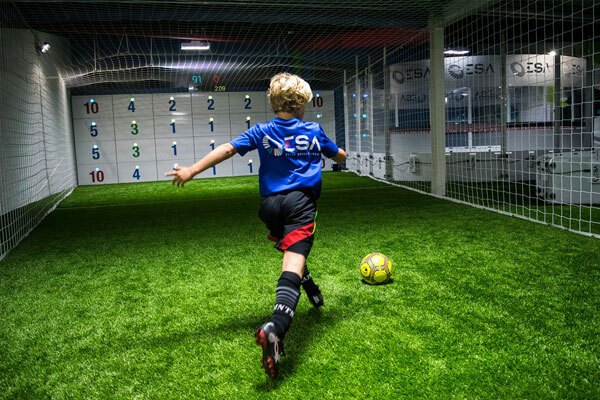 Suitable for all ages and abilities, the Precision Wall is the perfect activity for families and group parties. *Smaller unit is ideal for events such as 6-a-side competitions and for environments where space is limited. 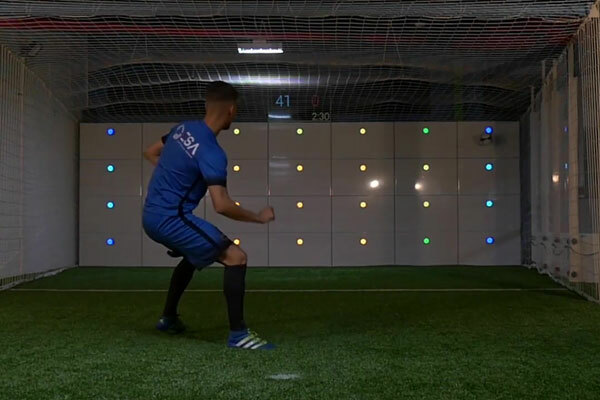 The Precision Wall is a revolutionary design, bringing traditional football training methods into the future. 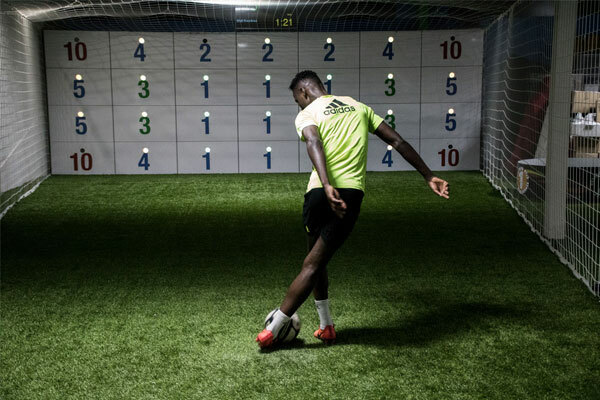 The Precision Wall, built around the mantra of repetition, is the first of its kind in the world of football. Utilizing the state of the art vibration technology, the precision wall provides advanced performance training in both individual and team settings. The wall is the exact dimensions of a full sized* goal and provides a match realistic environment for players to perfect their attacking and defending. 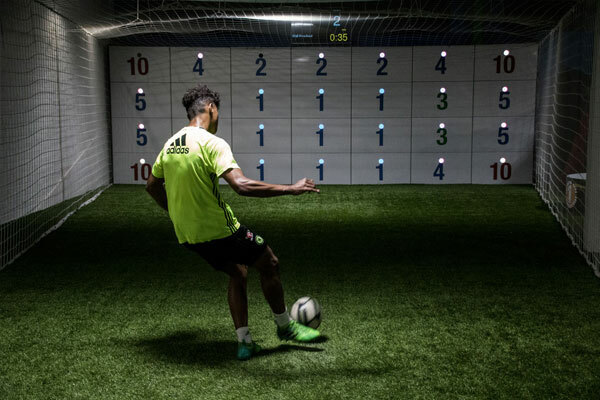 The wall allows both player and coach to monitor their performance using an innovative and accurate scoring system.